Iranian people from all walks of life on Sunday marked the National Day against World Arrogance, the anniversary of the US embassy takeover, by holding nationwide rallies against the US hostile policies against Tehran. 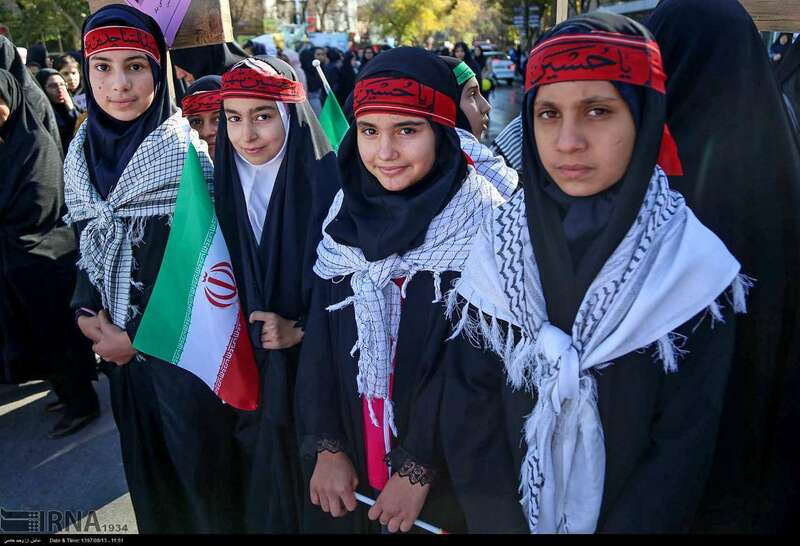 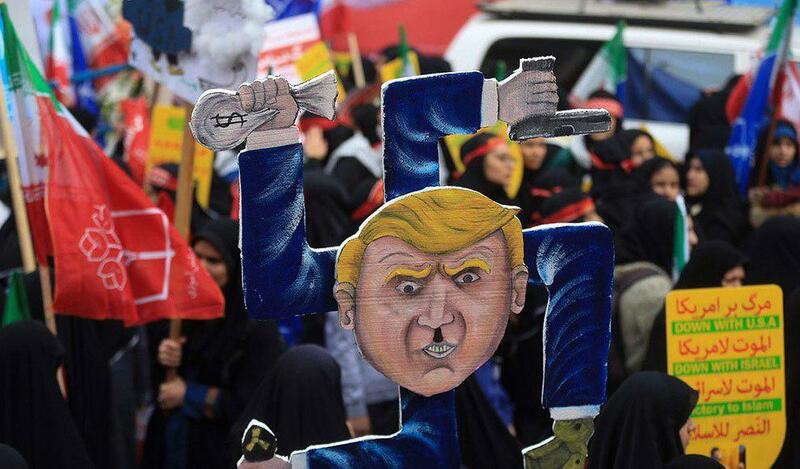 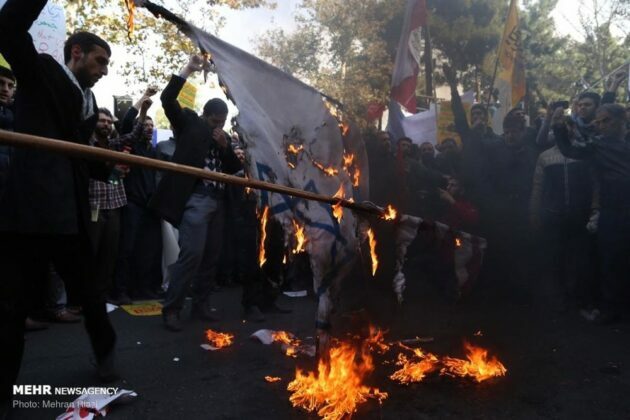 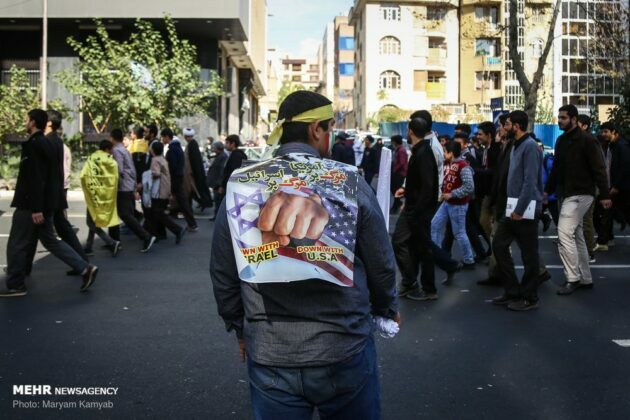 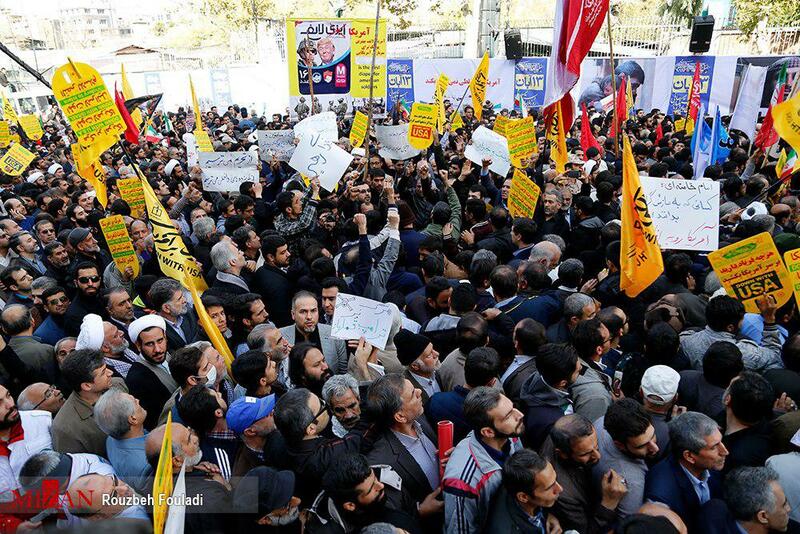 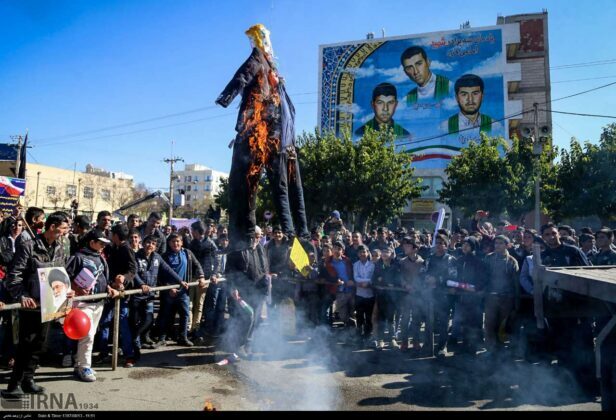 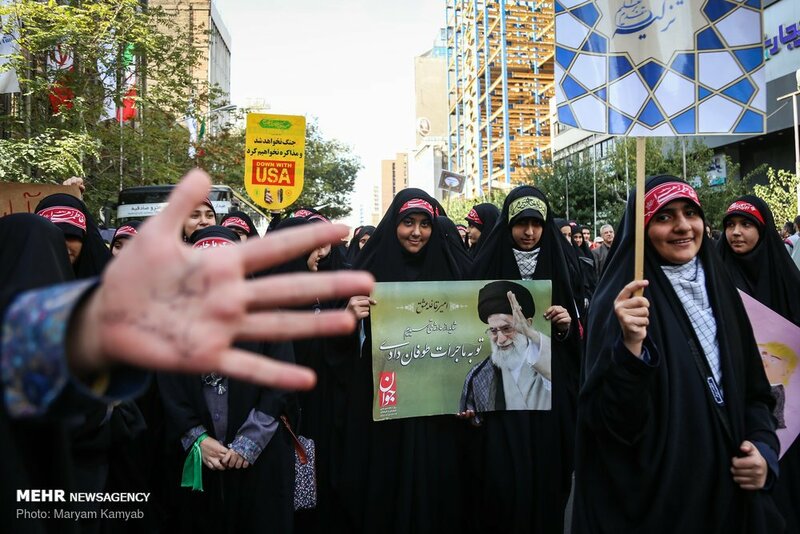 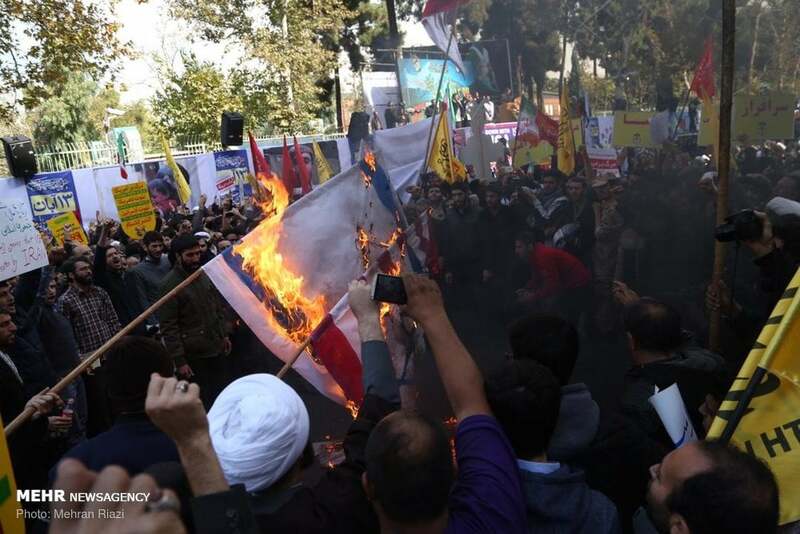 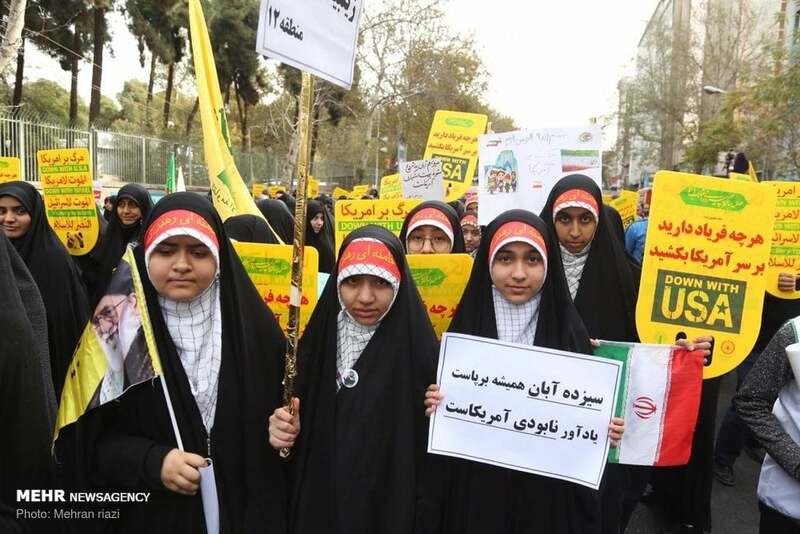 In Tehran, a large crowd of students gathered outside the former US embassy also known as the “Den of Espionage,” chanting slogans against the United States. 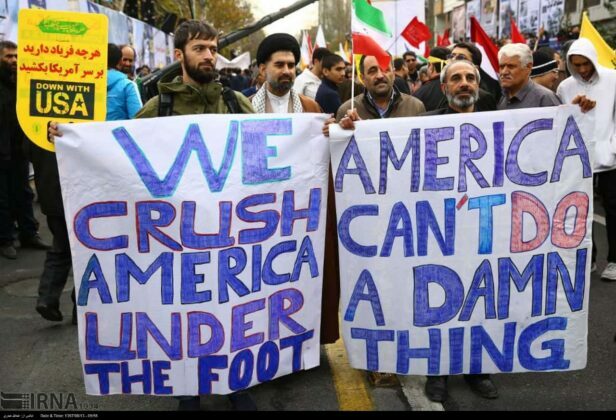 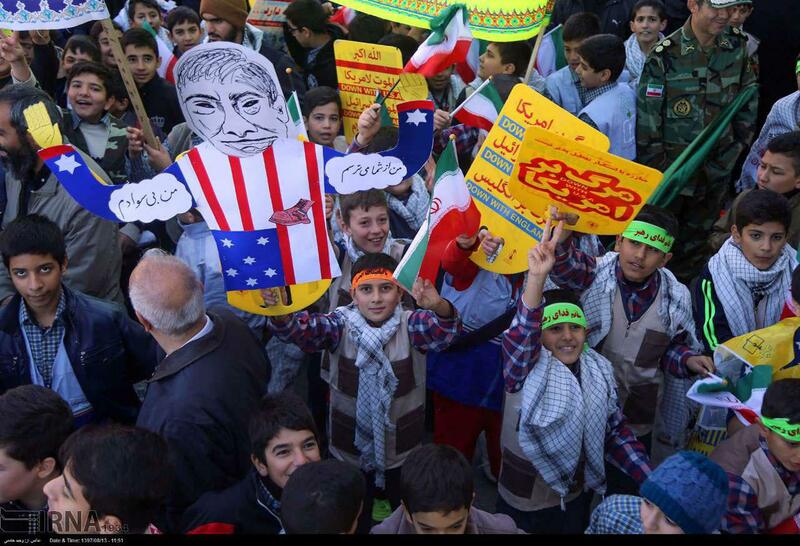 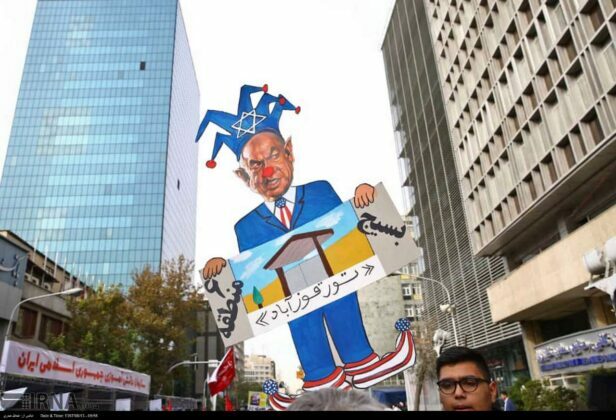 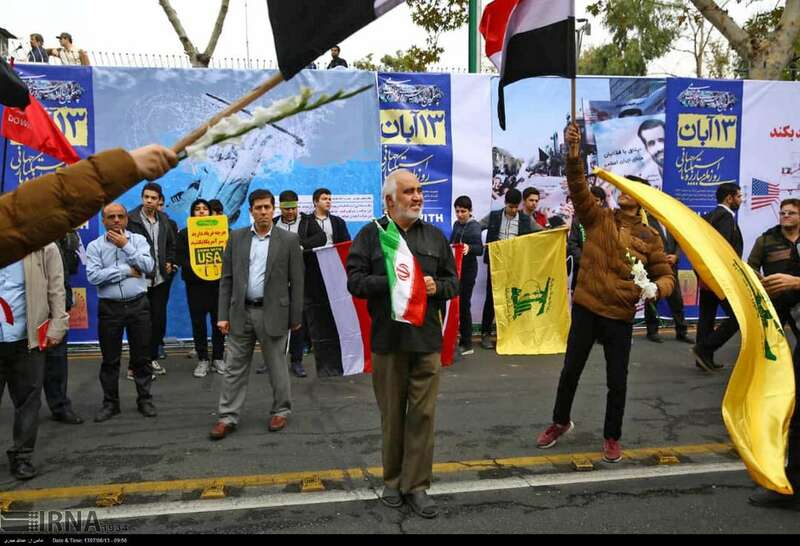 They also held signs denouncing the US hostilities against the Iranian nation and vowed resistance against Washington’s plots. Chief-Commander of Iran’s Islamic Revolution Guard Corps (IRGC) Major General Mohammad Ali Jafari was the keynote speaker of the demonstration. 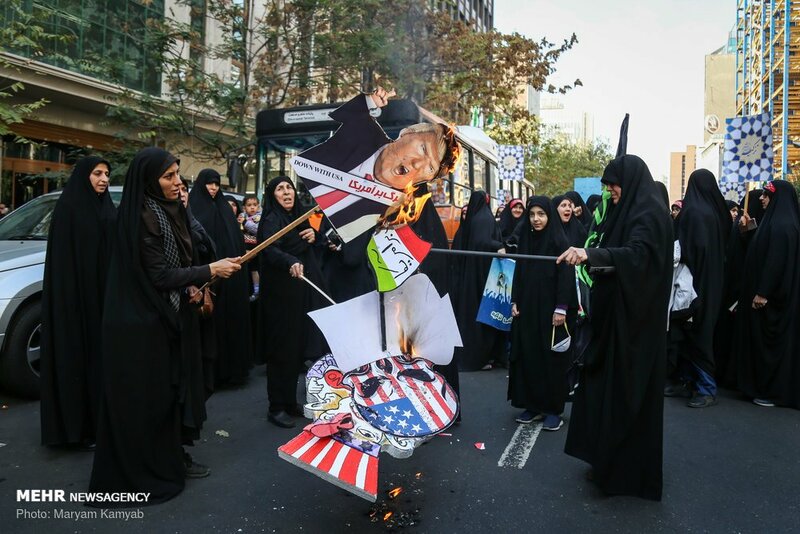 In his remarks, the Iranian top general said US economic and psychological war against the Islamic Republic has not been successful. He also underlined that the United States’ plots to create instability in the country have failed. 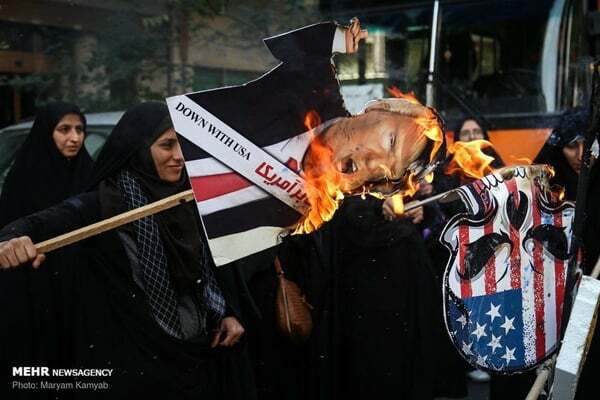 The IRGC commander warned US President Donald Trump against threatening the Iranian nation, reminding him of the voices of American and British soldiers in Tabas and Persian Gulf “groaning with fear”. 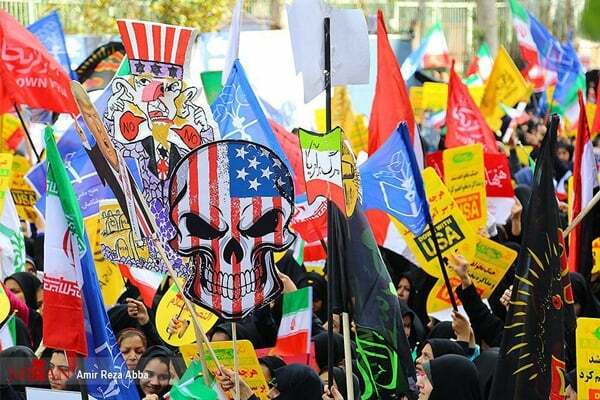 He also pointed to the Iranian revolutionaries’ takeover of the US embassy back in 1979, underscoring that the move was aimed at putting an end to Washington’s espionage in the newly-established Islamic Republic. 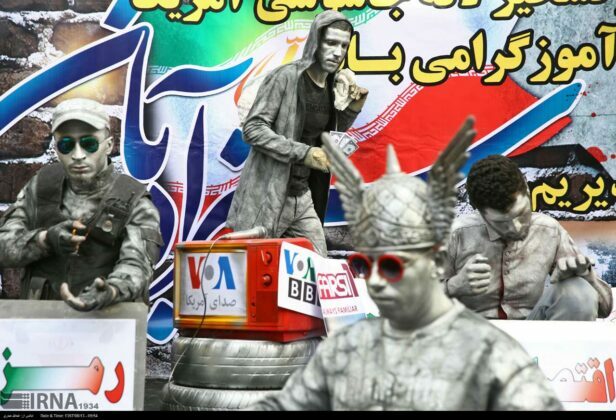 After General Jafari’s statements, representatives of student organisations are scheduled to deliver speech. 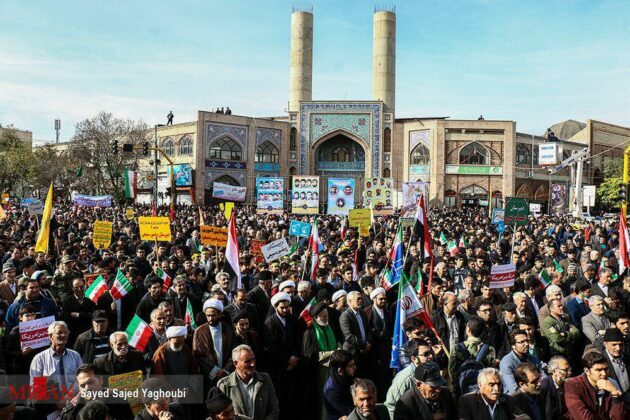 Over four thousand reporters and photographers are covering the National Day against World Arrogance. 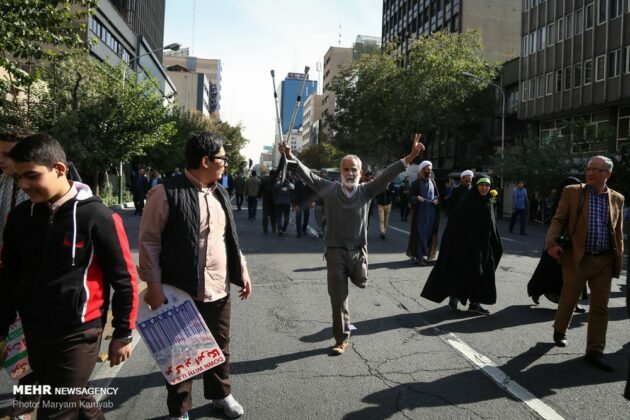 In Tehran, 120 foreign correspondents and photographers cover the event. 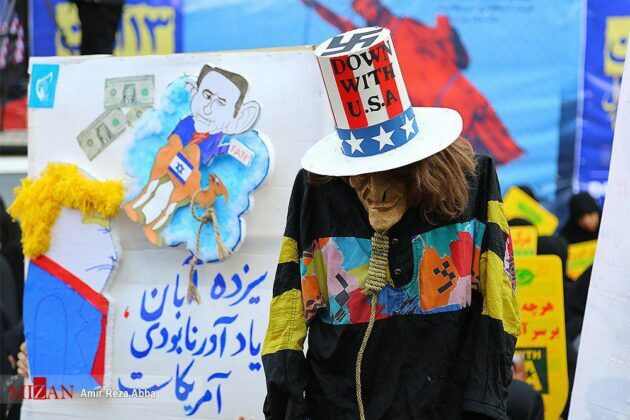 The demonstrations are held annually on November 4 to condemn the hegemonic policies of the US. 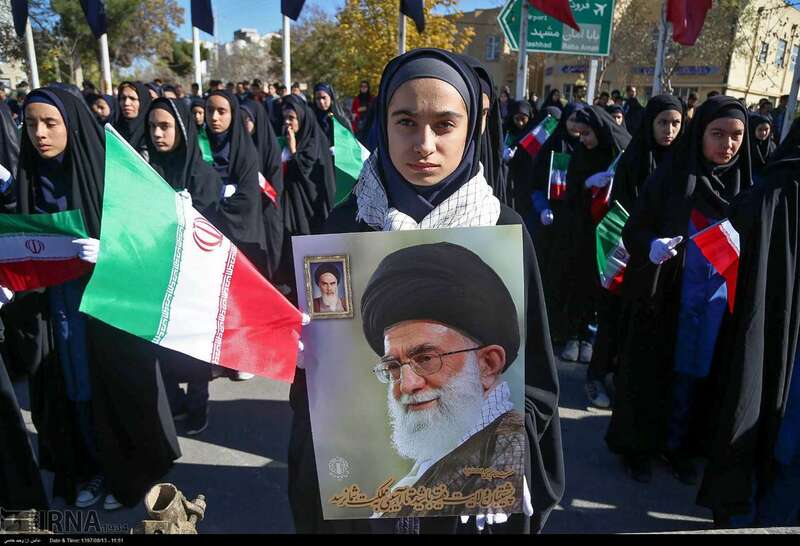 This year, the day has coincided with Trump’s re-imposition of US sanctions on the Islamic Republic, which will take effect on Sunday night.